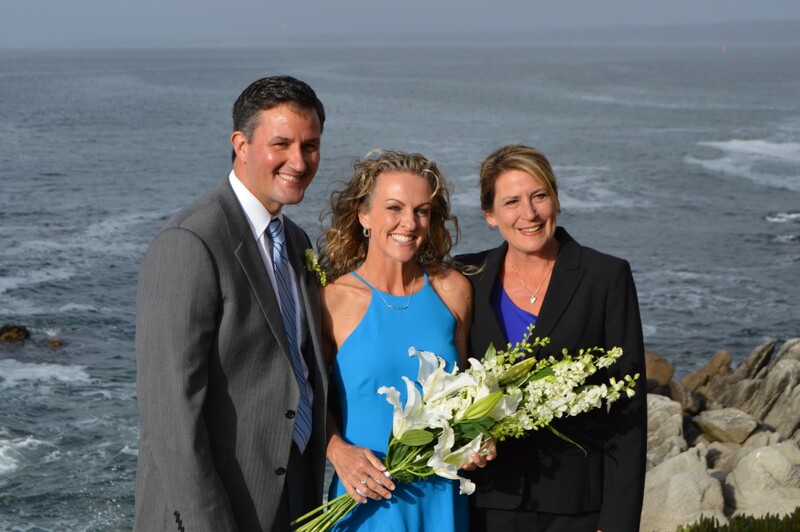 With over 25 years of experience, wedding officiants Rev. Patt O’Brien and Rev. Sherilyn Russo are dedicated to offering personal and passionate ceremonies to make your wedding ceremony as memorable and unique as you are. Our non-denominational ministers are caring, passionate, and sensitive to all cultures and beliefs. Every couple is unique and we take pride working with them to create the perfect wedding ceremony that inspires. Conveniently, our ministers are authorized through the Monterey County Clerk to issue Confidential Marriage Licenses seven days a week and at a moment’s notice, saving you a trip to the courthouse. We will also file the marriage license after your wedding ceremony. We proudly offer photography, video, and our expertise by sharing with you some of the very best local wedding vendors on the Monterey Peninsula. It is our pleasure to serve you.